This month we released our first branded Fidget Spinner – the Sport. The Fidget Spinner craze has been sweeping through the world this year, and our Sport model is our first offering of an exciting new “Gadgets” product category that we have introduced. In their short lifespan, Fidget Spinners have already developed an incredible reputation as fun, addictive and stress-relieving gadgets for kids and adults alike. An essential companion for many individuals and always the centre of attention in a group setting, the Sport is the perfect promotional item that puts your brand directly into the hands of your Customers and Clients. Available in 8 vibrant colours, our Sport model can have your logo, brand message and website address branded onto both sides in ultra-precise detail via our Screen Printing method. 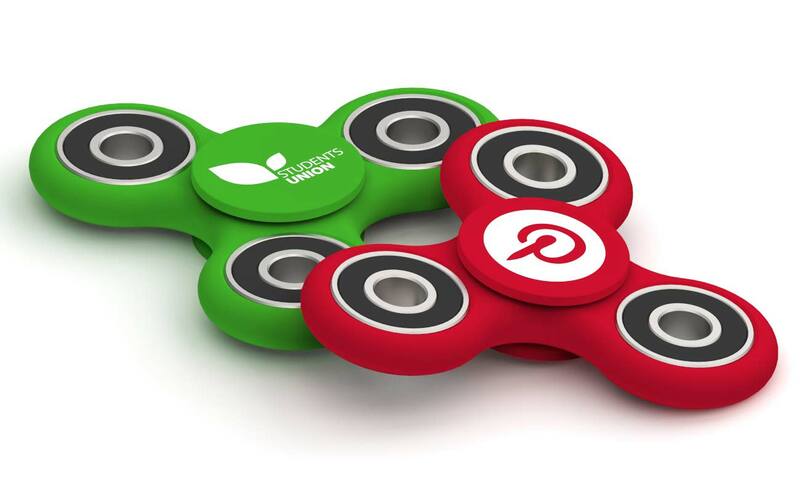 If you would like to know more about Fidget Spinners, or any of our other products, please fill out our Quick Quote Form and a dedicated Sales Account Manager will contact you shortly.